Ph. D. Mathematics (Commutative Algebra), University of Bucharest, Romania, 2000. M. Phil. Mathematics, Quaid-i-Azam University, Isamabad, Pakistan, 1991. M. Sc. Mathematics, Quaid-i-Azam University, Isamabad, Pakistan, 1989. B. Sc. (Maj. Physics, Mathematics A & B), University of Karachi, Karachi, Pakistan, 1986. 1. Syed Akhter Hussain Shah and Syed Tariq Shah, Implications of Bilateral and Sub-regional Trade Agreements on Economic Cooperation: A Case Study of SAARC in South Asia, Towards an Asian Century: Future of Economic Cooperation in SAARC Countries, (Ed. Mushir Anwar), ISBN: 978-969-8721-44-2 , IPRI, HSF, Islamabad, Pakistan (2014), Pp. 177-191. 29. A literature review on image encryption, Majid Khan and Tariq Shah, 3D Res (2014), 10.1007/s13319-014-0029-0, 5:29. 30. A Novel Cryptosystem Based on General Linear Group, Majid Khan, Tariq Shah, 3D Research, December 2014, 6:2, 1-8. DOI: 10.1007/s13319-014-0035-2. 35. Primary decomposition in a soft ring and a soft module, T. Shah and S. Medhit, IJST (2014) 38A3 (Special issue-Mathematics): 311-320. 38. A BCH-CODE AND A SEQUENCE OF CYCLIC CODES, Tariq Shah, Mubashar Khan and Antonio Aparecido de Andrade, International Journal of Algebra, Vol. 8, 2014, no. 11, 547 - 556. 39. TRIGONOMETRIC POLYNOMIAL RINGS AND THEIR FACTORIZATION PROPERTIES, Ehsan Ullah and Tariq Shah, Mathematicki Vesnik (Serbia), MATEMATIQKI VESNIK, 66, 3 (2014), 301–314, September 2014. 42. Analyses of S-box in image encryption applications based on fuzzy decision making criterion, Inayatur Rehman, Tariq Shah and Iqtadar Hussain, Z. Naturforsch. 69a, 207 – 214 (2014). (Germany) (ISI, IF: 0.908). 43. Soft Topological groups and rings, Tariq Shah and Salma Shaheen, Annals of Fuzzy Mathematics and Informatics, Volume 7, No. 5, (May 2014), pp. 725–743. 44. An efficient construction of substitution box with fractional chaotic System, Majid Khan and Tariq Shah, Signal, Image and Video Processing, (UK), doi: 10.1007/s11760-013-0577-4 (ISI, IF: 0.409). 46. GOPPA CODES OVER CERTAIN SEMIGROUPS, Antonio Aparecido de Andrade, Tariq Shah, Naveed Ahmed Azam, Syed Azmat Hussain, International Journal of Applied Mathematics, Volume 27 No. 1 2014, 65-71. 50. Domains like Krull domains and their factorization properties, Waheed Ahmad Khan, Tariq Shah and Abdelghani Taouti, World Applied Sciences Journal, Vol 22(1), 2013, 121-125. 51. Topological LA-semigroups, Tariq Shah and Nisar Ahmed, J. Adv. Res. Pure Math. (USA), Vol. 5, Issue. 4, 2013, pp. 37-44 doi: 10.5373/jarpm.1191.112611. 56. Decomposition of locally associative Gamma AG-groupoids, Tariq Shah and Inayatur Rehman, Novi Sad J. Math. (Serbia), Vol. 43, No. 1, 1-8 (2013). 57. Fields of two power conductor, Antonio Aparecido de Andrade, Eduardo Rogerio, Tariq Shah, JARAM (USA), V. 5, Issue 3, p. 97-102, 2013. 58. Uma Construcao de Codigos BCH, Antonio Aparecido de Andrade, Tariq Shah, Revista Electronica Paulista de Matematica, (Brazil, Portages) 2(1) (2013), 1-7. 61. A method for improving the code rate and error correction capability of a cyclic code, Tariq Shah, Amanullah, Antonio Aparecido de Andrade, , Comp. Appl. Math., (Springer, Brazil) ) (ISI, IF: 0.802) (2013), DOI 10.1007/s40314-013-0010-1. 63. On Comparability Conditions and Generalized Valuation Maps, Tariq Shah and Asma Shaheen Ansari, Palestine Journal of Mathematics, Vol. 2(1) (2013) , 22–31, (Palestine). 64. Fuzzy ideals in Laskerian rings, Tariq Shah and Muhammad Saeed, Mathematicki Vesnik, (Serbia) 65, 1 (2013), 74–81. 72. Linear Codes over Finite Local Rings in a Chain, Tariq Shah, Antonio Aparecido de Andrade, Journal of Advanced Research in Applied Mathematics, (USA) Vol. 4, Issue 4, pp. 66-77, (2012). 74. Cyclic codes through B[X;(a/b)Z₀]((a/b)∈Q⁺, b=a+1) and Encoding, Tariq Shah and Antonio Aparecido de Andrade, Discrete Mathematics, Algorithms and Applications (DMAA), (World Scientific, ) Volume 04, Issue 04, DOI: 10.1142/S1793830912500590, December 2012. 75. Constructions and Decoding of a sequence of BCH codes, Tariq Shah, Attiq Qamar and Antonio Aparecido de Andrade, MATH. SCI. RES. J. (USA) 16(9) 234-250, 2012. 76. A novel approach for designing substitution-boxes based on a nonlinear chaotic algorithm, Iqtadar Hussain, Tariq Shah, Muhammad Asif Gondal, Nonlinear Dyn. (USA), Vol. 70, No. 3, 1791-1794, Nov. 2012. (ISI, IF: 2.419). 78. A decoding procedure which improves code rate and error corrections, Tariq Shah, Amanullah, Antonio Aparecido de Andrade, Journal of Advanced Research in Applied Mathematics, (USA) Vol. 4, Issue 4, 37-50, (2012). 79. A note on units of finite local rings in an ascending chain, Antonio Aparecido de Andrade, Tariq Shah, International Journal of Applied Mathematics, (Bulgaria) Volume 25, No. 3, 347-356, (2012). 82. On Characterizations of LA-rings through some properties of their ideals, Tariq Shah and Inayatur Rehman, Southeast Asian Bulletin of Mathematics, (Springer, China) 36:1-11, (2012). 83. Construction and decoding of BCH codes over chain of commutative rings, Tariq Shah, Attiq Qamar and Antonio Aparecido de Andrade, Mathematical Sciences (Springer, Iran), 6:51 doi:10.1186/2251-7456-6-51, (2012). 84. A transmission model in cognitive radio based on error correcting codes, S. A. Hussain, T. Shah and N. Azam, Archives Des Sciences, (Switzerland) Vol 65, No. 9, 568-576, (Sep. 2012). 89. Factorization properties and chain conditions on ideals: A linkage, M. Saeed, Tariq Shah, Inayaturrehman and Waheed Ahmad Khan, Archives Des Sciences, (Switzerland) Vol 65, No. 5; 485-492, (May 2012). 92. Stability of some integral domains on a pullback, Tariq Shah and Sadia Medhat, Mathematicki Vesnik, (Serbia) 64, 2, 109–123, (2012). 93. On Fuzzy Ideals in Rings and Anti-homomorphism, Tariq Shah and Muhammad Saeed, International Mathematical Forum, (Bulgaria) Vol. 7, no. 16, 753-759, (2012). 94. Goppa codes through polynomials of B[X;(1/22)Z0] and its decoding principle, Antonio Aparecido de Andrade and Tariq Shah, Journal of Advanced Research in Applied Mathematics, (USA) Volume 3, Issue 4,12 – 20, (2011). 95. On Some Generalized Valuation Monoids, Tariq Shah and W. A. Khan, Novi Sad J. Math. (Serbia), Vol. 41, No. 2, 111-116, (2011). 96. Top-Down Approach for the Social Capital Development: A Policy Framework for the Government, International Journal of applied Mathematics and Applications, (India) Tariq Shah, Syed Akhter Hussain Shah, Eatzaz Ahmed & Bakhtiar Ali, Vol. 3 No. 1, 1-17, (2011). 97. Irreducible generalized polynomials in a monoid ring, Tariq Shah and Rizwan Salim Badar, J. Adv. Res. Pure Math. (USA), Volume 3, Issue 4, 24 – 32, (2011). 99. Soft Ordered AG-groupoids, Tariq Shah, Inayatur-Rehman and Aasima Razzaque, International Journal of the Physical Sciences, Vol. 6(25), pp. 6118-6126, 23 October, (2011) (Nigeria). 103. Goppa codes via B[X;(1/(3²))Z₀] and its decoding principle, A.A. Andrade and T. Shah, International Journal of Applied Mathematics (Bulgaria), Vol. 24, No. 4, 563-572, (2011). 104.Some Analysis of S-box Based on Residue of Prime Number, Iqtadar Hussain, Tariq Shah, Hasan Mahmood, Muhammad Asif Gondal and Usman Younas Bhatti, Proceedings of the Pakistan Academy of Sciences (Pakistan) 48 (2), 111-115, (2011). (HEC Recognized, Category X). 105. A note on linear codes over semigroup rings, A.A. Andrade, T. Shah and A. Khan, TEMA Tend. Mat. Apl. Comput. (Brazil), 12, No. 2, 79-89, (2011). 107. Some basic properties of LA-rings, Muhammad Shah and Tariq Shah, International Mathematical Forum (Bulgaria), Vol. 6, no. 44, 2195-2199, (2011). 108. On the cancellativity of AG-groupoids, M. Shah, T. Shah, A. Ali, International Mathematical Forum (Bulgaria), Vol. 6, no. 44, 2187-2194, (2011). 109. A note on Laskerian Rings, Tariq Shah and Muhammad Saeed, Proceedings of the Pakistan Academy of Sciences (Pakistan), 48 (1), 1–18, (2011). (HEC Recognized, Category X). 110. Statistical Analysis of S-boxes based on Image Encryption, Tariq Shah, Iqtadar Hussain, Asif Gondal and Hasan Mahmood, International Journal of the Physical Sciences (Nigeria), Vol. 6(16), 4110-4127, (18 August, 2011). 112. On Near Left Almost Rings, Tariq Shah, Fazal ur Rehman and Muhammad Raees, International Mathematical Forum (Bulgaria), Vol. 6, no. 23, 1103-1111, (2011). 113. Direct Sum of Ideals in a Generalized LA-Ring, Tariq Shah, Gauhar Ali and Fazal ur Rehman, International Mathematical Forum (Bulgaria), Vol. 6, no. 22, 1095-1101, (2011). 114. On LA-Modules, Tariq Shah, Muhammad Raees and Gauhar Ali, Int. J. Contemp. Math. Sciences (Bulgaria), Vol. 6, no. 21, 999-1006, (2011). 115. On Ordering of AG-Groupoids, Tariq Shah, Inayatur Rehman and Asif Ali, International Electronic Journal of Pure and Applied Mathematics (Bulgaria),Volume 2, No. 4, 219-224, (2010). 116. A non-Noetherian Laskerian Domain in which every primary ideal is a valuation ideal, Tariq Shah and Muhammad Saeed, International Electronic Journal of Pure and Applied Mathematics (Bulgaria), Volume 2, No. 4, 211-217, (2010). 117. Graphical Sac analysis of S8 APA S-box, Hussain, I., Shah, T., Aslam, K.S, Adv. Algebra (India) 3(1), 57–62 (2010). 118. On M-Systems in Ordered AG-Groupoids, Tariq Shah, Inayatur Rehman and Ronnason Chinram, Far East Journal of Mathematical Sciences (FJMS) (India), Volume 47, Number 1, 13-21, (2010). 119. A note on strongly Laskerian domains, Tariq Shah and Muhammad Saeed, Advances in Algebra (India), Volume 3, Number 1, 79-86, (2010). 120. A generalization of integral dependence, Tariq Shah, Shabieh Farwa and Rizwan Salim Badar, Advances in Algebra (India), Volume 3, Number 1, 43-55, (2010). 121. Goppa Codes Through generalized polynomials and its Decoding principle, Antonio Aparecido de Andrade, Tariq Shah and Atlas Khan, International Journal of Applied Mathematics (Bulgaria), Vol. 23, No. 3, 517-526, (2010). 122. Comparative Analysis of S-boxes Based on Graphical SAC, Iqtadar Hussain, Tariq Shah, Hasan Mahmood and Mehreen Afzal, International Journal of Computer Applications (USA) (0975 – 8887), Volume 2, No.5, (June 2010). 123. Topological LA-groups and LA-rings, Tariq Shah and Kamran Yousaf, Quasigroups and Related Systems (Poland), 18, 11-20, (2010). 124. Subrings in Trigonometric polynomial Rings, Tariq Shah and Ehsan Ullah, Acta Mathematica, Academiae, Paedagogicae, Ny´regyh´aziensis (Serbia), 26, 35–43, (2010). 125. A new Algorithm to Construct Secure Keys for AES, Iqtadar Hussain, Tariq Shah and Hasan Mahmood , Int. J. Contemp. Math. Sciences (Bulgaria), Vol. 5, no. 26, 1263 – 1270, (2010). 126. On M-Systems in γ-AG-groupoids, Tariq Shah and Inayatur Rehman, Proceedings of the Pakistan Academy of Sciences (Pakistan), 47(1), 33-39, (2010). (HEC, X-Category). 127. Algebraic representation of Social Capital Matrix, Tariq Shah, S.A.H. Shah and Eatzaz Ahmed, PIDE-Working Papers: Pakistan Institute of Development Economics (Pakistan), 61, (2010). 128. 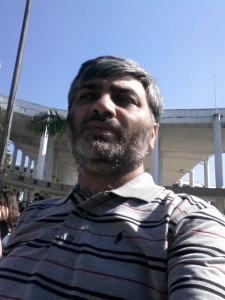 On factorization properties of monoid S and monoid domain D[S], Tariq Shah and W. A. Khan, International Mathematical Forum (Bulgaria), 5, no. 18, 891-902, (2010). 129. Relative Ascent and Descent in a Domain Extension, Tariq Shah, Inter. Elec. J. Algebra (Turkey), Vol. 7, 34-46, (2010). 130. On γ-Ideals and γ-Bi-Ideals in γ-AG-Groupoids, Tariq Shah and Inayatur Rehman, Inter. J. Algebra (Bulgaria), Vol. 4, no.6, 267-276, (2010). 132. Factorization Properties of Sub rings in Trigonometric Polynomial Rings, Tariq Shah and Ehsan Ullah, Publications de La’ Institute Mathematique, Nouvelle serie, tome (Serbia), 86 (100), 123-131, (2009). 135. Centralizing and commuting generalized derivations on prime rings, A. Ali and T. Shah, Mathematicki Vesnik (Serbia), 60, 1-2, (2008). 138. Convergence Model of Governance: A Case Study of the Local Government System of Pakistan, S. A. H. Shah, M. Khalid and Tariq Shah, The Pakistan Development Review (Pakistan), 45:Part II, pp. 855-871, (Winter 2006). 142. Ascend and Descend of Factorization Properties, N. Radu and S. O. Ibraheem Al-Salihi and Tariq Shah, Rev. Roumaine Math. Pures Appl. (Romania) 45, 4, 659-669, (2000). Antonio Aparecido de Andrade, Tariq Shah, XXXI SIMPO´SIO BRASILEIRO DE TELECOMUNICACO˜ES - SBrT2013, 1-4 DE SETEMBRO DE 2013, FORTALEZA, CE, Brazil. Antonio Aparecido de Andrade, Tariq Shah, 29th Coloquio Brasileiro de Matematica, IMPA, Rio de Janeiro, 29 de julho a 05 de Augosto, 2013. Antonio Aparecido de Andrade, Tariq Shah, 28th Coloquio Brasileiro de Matematica, IMPA, Rio de Janeiro, 18 a 29 de julho de 2011. Antonio Aparecido de Andrade, Tariq Shah and Atlas Khan, Decoding Procedure for BCH, Alternant and Goppa Codes defined over Semigroup Rings, CNMAC 2010, XXXIII Congresso Nacional de Matematica Aplicada e Computacional, A Sociedade Brasileira de Matematica Aplicada e Computacional (SBMAC), AGUAS de Lindoia-SP, September 20-23, 2010, pp 08-14. Tariq Shah, Atlas Khan and Antonio Aparecido de Andrade, Ascending chains of semigroup rings and encoding: Coding and Cryptography, Proceedings of ITS, International Telecommunication Symposium), 2010, September 06-09, Manaus, Amazonas, Brazil, pp 1-5. Antonio Aparecido de Andrade, Tariq Shah, Ascending chains of monoid rings and encoding, XXIX, Simposio Brasileiro de Telecommunicoes-SBrT’ 11, 02-05 de Outubro de 2011, CURITIBA, PR, Brazil. 9th International Pure Mathematics Conference, PMS, Islamabad, Pakistan, August 22-25, 2008. Lattices Codes from the ring F3 [X;1/3Z0], Fourteenth Workshop on Algebraic and Combinatorial Coding Theory, September 7-13, 2014, Svetlogorsk (Kalingningrad region), Russia, pp. 151-156. Novel data transmission approaches in cognitive radio, 13th International Pure Mathematics Conference, Islamabad, Pakistan, 1-3 Sep., 2012. Polynomial and Formal Power Series Rings (August 05, 2013), Department of Mathematics, UNESP, Sao Jose do Rio Preto, SP, Brazil. Ring of Fractions and Localization (August 7, 2013), Department of Mathematics, UNESP, Sao Jose do Rio Preto, SP, Brazil. Extensions of Unitary Commutative Rings (August 9, 2013), Department of Mathematics, UNESP, Sao Jose do Rio Preto, SP, Brazil. Fractional ideals of unitary Commutative Rings (August 12, 2013), Department of Mathematics, UNESP, Sao Jose do Rio Preto, SP, Brazil. Factorizations in integral domains (August 14, 2013), Department of Mathematics, UNESP, Sao Jose do Rio Preto, SP, Brazil. Cyclic and BCH-codes over a Galois Field (August 21, 2013), Department of Mathematics, UNESP, Sao Jose do Rio Preto, SP, Brazil. Cyclic and BCH codes over a Galois ring (August 22, 2013), Department of Mathematics, UNESP, Sao Jose do Rio Preto, SP, Brazil. Cyclic and BCH codes through a monoid ring: A Survey, 28th August, 2013, Department of Mathematics, UNESP, Sao Jose do Rio Preto, SP, Brazil. BANDWIDTH SAVING IN COGNITIVE RADIO: A COMPOUND TRANSMISSION MODEL, 16th August, 2013, Institute of Mathematics, Campinus University, Campinus, SP, Brazil. REFURBISHING A DNA SEQUENCE IN AN ASCENDING CHAIN OF CYCLIC CODES, 30th August, 2013, Institute of Mathematics, Campinus University, Campinus, SP, Brazil. Handling error correction, code rate and reliability, Institute of Mathematics, Campinus University, Campinus, SP, Brazil, August 24, 2011. Some factorization properties on a pullback of type Containment, Seminarios do Programa de Pos-graduacao em Matematica, departamento de Matematica, UNESP, Unversidade Estadual Paulista “JULIO DE MESQUITA FILHO” Campus de SAO JOSE do RIO PRETO, SP, Brazil, August 17, 2011. Some factorization properties in integral domains, Seminarios do Programa de Pos-graduacao em Matematica, departamento de Matematica, UNESP, Unversidade Estadual Paulista “JULIO DE MESQUITA FILHO” Campus de SAO JOSE do RIO PRETO, SP, Brazil, July 12, 2011. On Algebraic Coding Theory, Seminar series LV, Department of department of Mathematics, QAU, Islamabad, May 23, 2011. Factorization properties in integral domains, Seminarios do Programa de Pos-graduacao em Matematica, departamento de Matematica, UNESP, Unversidade Estadual Paulista “JULIO DE MESQUITA FILHO” Campus de SAO JOSE do RIO PRETO, SP, Brazil, September 15, 2010. Algebraic representation of Social Capital Matrix, NURTURING NINDS-PIDE, A weekly Seminar Series, Islamabad, Pakistan, January 20th, 2010. On Factorization in integral domains, Mathematics Seminar series of Department of Mathematics, QAU, Islamabad, Pakistan. Generalization of integral dependence, Seminar series of Department of Mathematics, QAU, Islamabad, Pakistan. On Polynomial Rings, Weakly Seminar Series, NUST, CAMP, April 25, 2007, Rawalpindi, Pakistan. 1. Talk on: ‘Galois rings and Galois fields: Coding Theory and Cryptography perspective’, Workshop on Modern Aspects of Algebra and Graph Theory” Department of Mathematics, COMSATS Institute of Information Technology, Lahore (March 27-28, 2015). 2. Talk on: ‘Algebraic Notions in Modern Cryptography and Coding Theory’, "Recent advances in Pure and Applied Mathematics" (RAPAM-2016) on 20 to 22 January 2016, QUAID-E-AWAM UNIVERSITY OF ENGINEERING, SCIENCE & TECHNOLOGY, NAWABSHAH, SINDH, PAKISTAN. 3. Talk on: ‘Algebra in Coding Theory and Modern Cryptography’, Worksop on " Algebra and Applications" (Dec 9-10-2016), LUMS, Lahore, PAKISTAN.